A world championship of a special kind !!! 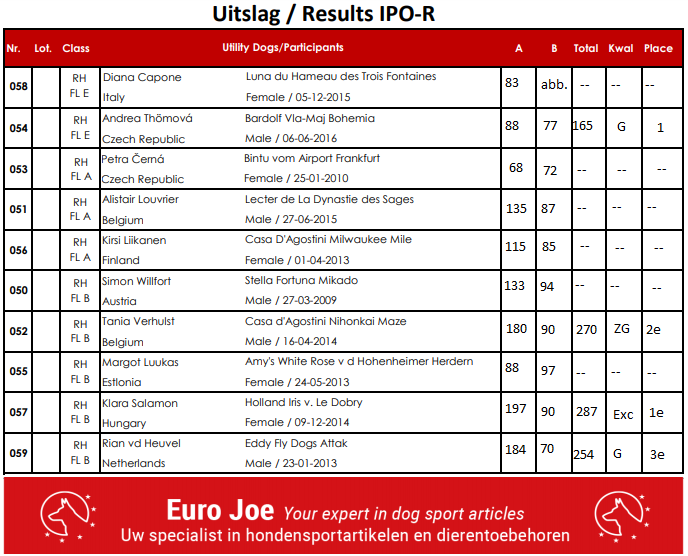 From 3rd to 6th of may 2018 our 5th World Championship for Dutch Shepherd Dogs took place. The municipality Nordenveld has provided us in the beautiful Roden / NL a great venue for this event. The mayor insisted on invading the stadium together with all participants at the opening ceremony. Led by a chapel and flag bearers, 147 participants from 18 countries entered the venue. That was really an uplifting ceremony. In addition to the World Champioship IPO, the WDSF World Cups were awarded this time in 4 other sports. 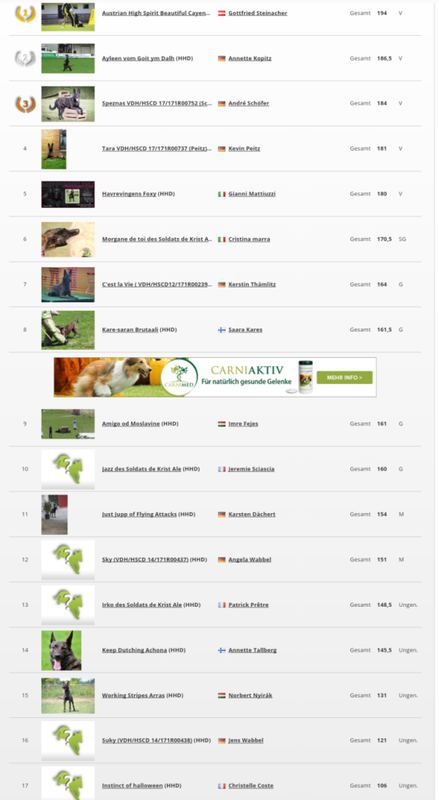 We were happy about competitions in Mondioring, Agility, Obedience and IPO R.
We would like to thank our host, the NHC. In collaboration with Hondensport Hoogkerk, Alexa Dufour, Rian van den Heuvel, Marleen van der Valk and Danielle Fama they have organized an unforgettable event. We also want to thank all the helpers who worked tirelessly. Her friendliness and helpfulness have again given birth to the feeling of the big family. Sportsmanship and camaraderie were particularly pronounced at this World Champioship. Over the various sports, was cheered, congratulated and sometimes comforted. This event gave our jubilee championship the right setting and thanks to the many participants, the Dutch Shepherd Dog presented itself in all its versatility. We thank every single handler for his commitment, time, money and also for his love for this fantastic breed. We know how much effort it takes to prepare a dog for such an event and to meet this challenge. Without your loyalty and patience, none of this would be possible. It was also an honor for us that Franz Janssen, as chairman of the Utility Dogs Commission of the FCI, was present at the awards ceremony and presented the trophies. In his speech, he reaffirmed our work and, as a friend of our breed, expressed his joy over the development. Also this year the winner of the IPO competition will be able to drive with a wildcard to the FCI WC IPO.